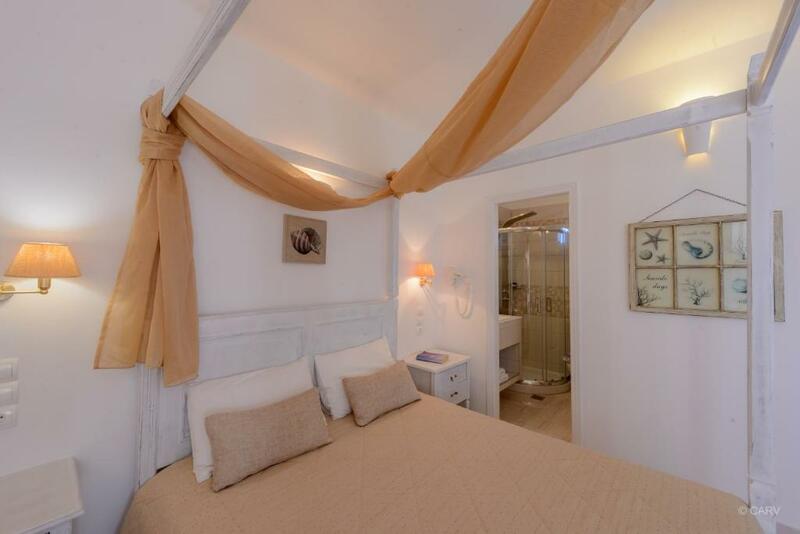 Clean, comfortable room with amazing view to the Aegean. Big balcony to enjoy the view. The location is very convenient with a mini market nearby. The personal at the hotel was very helpful and flexible. Hotel is situated on the hill with an amazing view. Personnel was very nice and helpful, they have arranged for us transport from and to the port. The first day we were given maps of the island with information where to go, where to eat, etc. Also we could borrow an umbrella for the whole stay. Breakfast were very tasty, few options to choose. Around are situated few restaurants and mini market. Public bus to other villages goes very often and only few min walk from the hotel. We have rented a car through our hotel in a good price. I fully recommend this place! The location was very good . We had a nice view to the sea both from the balcony and from the door. A beach was close for a morning swim. The cleaning ladies did a great job, and the room was cleaned every day. 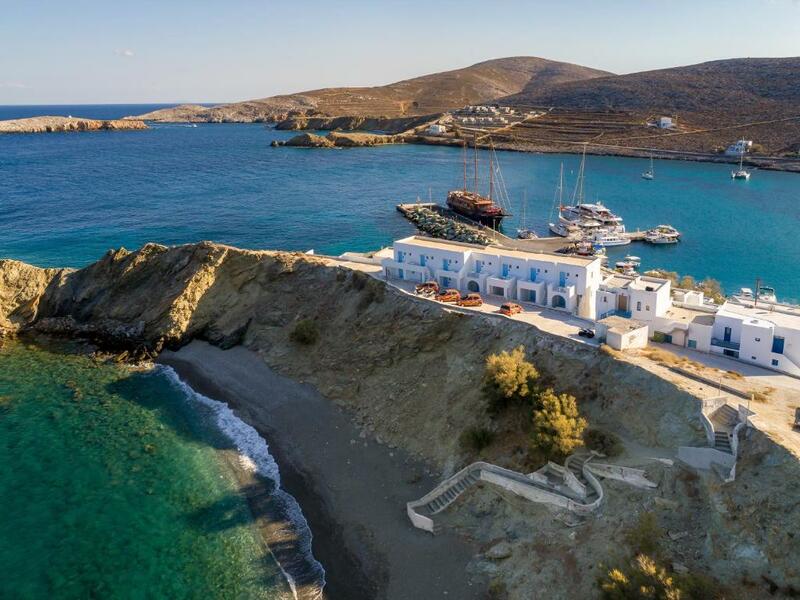 The location was convenient close to the port, and there was a regular bus service to the main village of Folegandros and forward. The staff was helpful. We had a great experience that exceeded all our expectations. The employees were very professional, friendly, helpful and proactive: we were offered a free of charge transfer from the port, all the necessary info and advice about the island and what to do there, on the day of departure they offered us a possibility to take a shower even after check out. We very much appreciated these services and being taken care off during our entire stay. The location at the port is also very convinient, and the view from the terrace just stunning. The room was also nicely decorated and very clean. The breakfast also really good: eggs, vegetables and fruit, greek joghurt, dried fruits, pastries and breads and cereals, etc. Great stay, wonderful place! Special thanks to both emploeeys (young lady and a gentleman) at the reception! Everything ok. Friendly staff. Tasty breakfast. Recommend. Very helpful and friendly stuff, facility 2 min walking distance to the nice beach, great view from the windows. Even though the hotel was situated next to the harbour, the place was very peaceful and quiet. Fully recommend! Excellent locationly, directly behind the arrival point of the port. Friendly staff. Nice beach behind the hotel. Easily accessible with a car. The internet connection in the room was excellent. Very gentil, they offer us to remain in the room until our ferry left. Lock in a great price for Vardia Bay Studios – rated 8.6 by recent guests! Vardia Bay Studios This rating is a reflection of how the property compares to the industry standard when it comes to price, facilities and services available. It's based on a self-evaluation by the property. Use this rating to help choose your stay! Overlooking the sea and Karavostasi Village, Vardia Bay provides comfortable self-catering studios and beautiful sea and village views, along with free internet access and free private parking. Vardia Bay Studios are air-conditioned and located along 3 different levels, allowing for beautiful views, close to the sandy beach. Relax in your comfortable and fully equipped studio and admire the stunning view. Start the day with a tasty continental breakfast in the privacy of your room. Check your emails using Vardia Bay’s free internet access. Take a stroll through Karavostasi and visit the local shops, bakeries and cozy taverns. Walk along the private sandy beach. 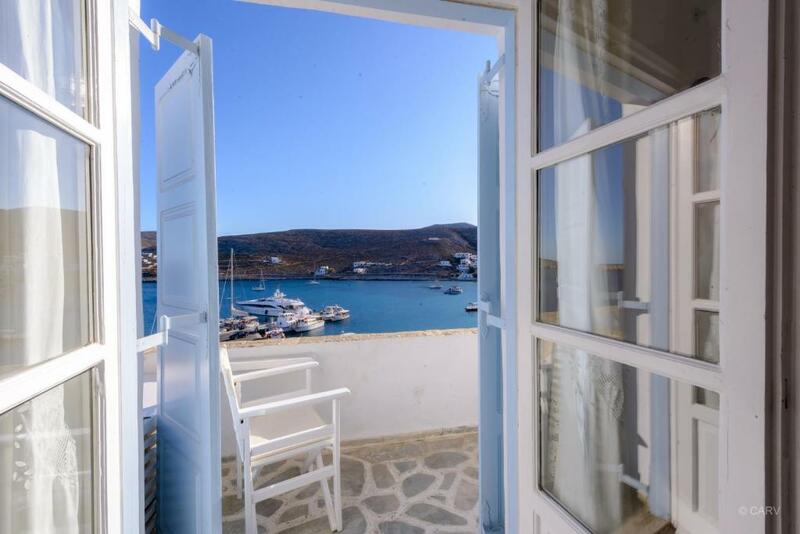 With its superb views and modern comforts, Vardia Bay Studios is an ideal base for exploring Folegandros. When would you like to stay at Vardia Bay Studios? This studio features a balcony, kitchenette, cable TV and air conditioning. This one-bedroom apartment has a balcony, kitchenette, air conditioning and cable TV. This studio features a balcony, air conditioning, cable TV and kitchenette. This studio has a balcony, air conditioning, kitchenette and cable TV. 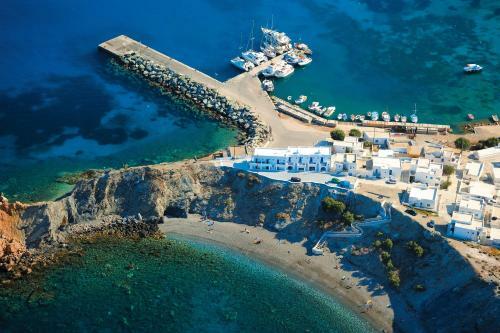 VARDIA BAY STUDIOS are located in the seaside settlement "Karavostasis", which is the port of Folegandros. It is 2.8 km away from Chora (capital) and approximately 20 meters away from the sandy beach of Vardia. 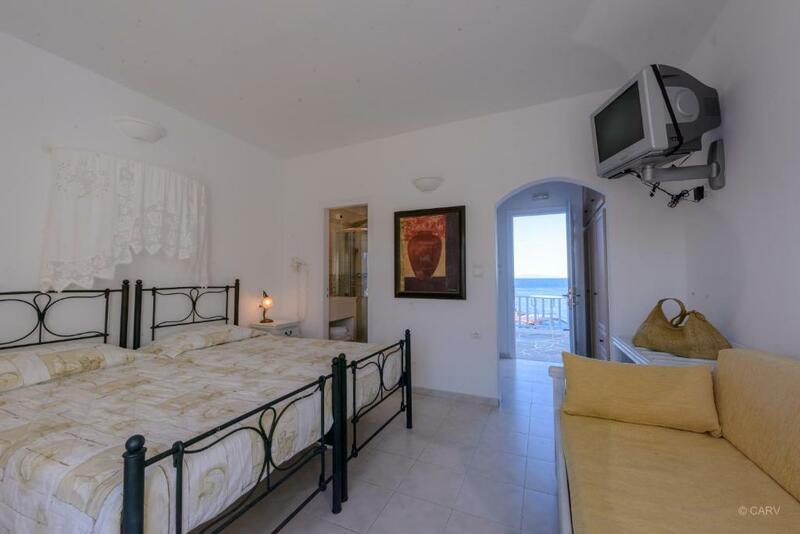 There are 3 very nice levels, which consist of traditional island style complex of 17 studios and 4 apartments, situated on the top of a small peninsula and commanding a fine view of the village and the sea. Karavostasis, the beautiful sea-side town where the port is and the Vardia Bay hotel complex is situated. - Chora, which is the capital of Folegandros.- and Ano Meria, which is northern and highest in altitude from the other two towns. 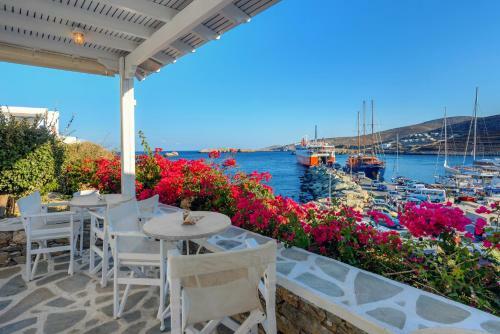 It has a very nice perimeter view of the Aegean Sea. House Rules Vardia Bay Studios takes special requests – add in the next step! Vardia Bay Studios accepts these cards and reserves the right to temporarily hold an amount prior to arrival. Please inform Vardia Bay Studios of your expected arrival time in advance. You can use the Special Requests box when booking, or contact the property directly using the contact details in your confirmation. Only 1 mini market in the area. We loved the location by the port but easy access to the Hora by very reliable bus service. We had a problem With the air con which was fixed instantly at midnight! The breakfast was good and plentiful. I would recommend staying here rather than the Hora. The breakfast was rather basic but good. In the shower the shower curtain was always on the way and "glued" to the body when turning but at least the curtain was clean. The bathroom is somewhat small and may benefit from renovation. Yet, considering 3 stars and resonable prices, it is also totally ok. Excellent food. Nice rooms. Very good location. We paid 240€/night (!) and we didn't get what expected. The pictures of the bathroom do not match the real state of it. As showed in the pictures here attached, the bathroom was very old, the shower box was closed with a dirty curtain and the wooden (!) toilet seat was old and ruined. Pillows on the sofas were very dirty and full of stains. There was rust in the fridge. It does not worth the price requested, at all. But the worst is yet to come: we complained with the manager of the hotel chain and he did't even try to find a solution. He just replied that we got what we booked as there were no pics of the bathroom (!). No comment. Last but not least: breakfast was just ridiculous for the price we paid (240€/night). I would never recommend this hotel to anyone. Bathroom small and needs a reformation. 3km to chora though there are buses very often. We were expecting the room would be basic, but we didn’t expect that it would be in a bad condition. 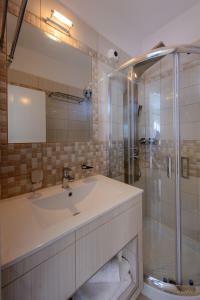 In general the room furniture, kitchen and bathroom are old and badly maintained. I will olny mention a few. The bed linens were old and the duvet was dirty. Kitchen furniture are pretty old and the fridge is rusty. The bathroom was shockingly in very bad condition and dirty. Soap bars were covered in mauled and the same applies to the shower tiles and curtain. Some of the tiles on the wall are ready to fall. The wooden frame of the bathroom door and window are rotten. The room door doesn’t close very well and the room is not sound proof at all. We were awakened very early next morning by other guests that were sitting outside at the common area and talking loudly. Definitely overpriced for such conditions. Simply I do not understand how other guests give this property 8, 9 or even 10 in their reviews. If somebody believes I am exaggerating I have plenty of pictures to prove it. We only liked the location of the property. It is within walking distance from the port and there is a nice beach at the back of the hotel. Because we complained for the bad conditions of our room, we were given a more decent one for the rest of our stay. But even that new room was not properly cleaned. We found used soap bars and hair in the shower which is unacceptable. Also the safe was not attached to the wall or to the wardrobe, so anybody could walk out the room with it, useless. The bathroom was very small. You can not open the window, because of the showercurtain. I was not able to was my body, because of the size of the shower and the showercurtain-holder system. There was a very old tv with false color in our room. Good location for visit this island. Very helpfull and nice staff.